Awesome WIAW’s yesterday everyone! I really enjoyed looking at all the delicious eats! Every week I am seriously astounded at how many people are participating now….its so cool to be a part of such a huge link up! I mentioned a few posts ago that I picked up Jillian Michael’s book Unlimited. After getting hooked on her podcasts I knew I had to read her book! And let me tell you, it has not disappointed so far! It’s split into three parts: Imagine, Believe, and Achieve. The first two parts focus on identifying the problems within yourself that are stopping you from living your best life and providing you the tools to deal with them. 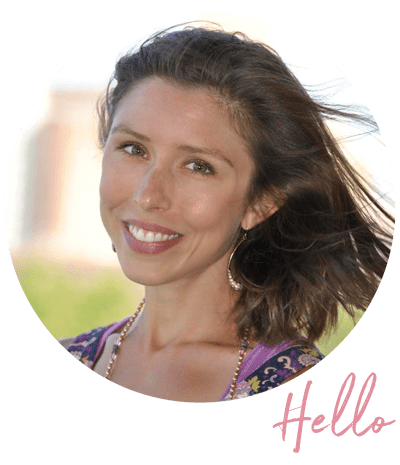 While the third part (which I just started today) is all about executing…putting your goals into action and making steps to find your inner truth. Jillian’s personality really comes through in her writing and its awesome to see how educated and knowledgeable she about everything she promotes. She’s not just a figure head for healthy living, she’s an example. I am finding that I can really relate to everything she is saying and already feel like I’ve become more self aware based on all the things I’ve read so far. Jillian suggested physically writing down little phrases, quotes, mantras, or words to keep on hand at all time that inspire you or instill hope in you whenever you refer to them. Being a very visual person (writing things down or looking at something written down really impact me and help me through things), this a small practice I’ve used regularly during tough times. -A hard decision is just one more step to accomplishing your goals. -Fear is the only thing that inhibits happiness, so do something everyday that scares you. -Think it through before you let it overwhelm you. -In the grand scheme of things this is not a big deal. Being reminded of these simple notions on a daily basis help refocus me and keep my mind from getting overwhelmed with things that present challenges. I know that the things I listed above work for me…but as I said, I am always adding to my list and finding new sources of positivity. And this is where all of you come in! Whether you have your own list like this or have never physically written down an affirmation in your life, I want you to think of a phrase, word, quote, or whatever, that grounds you, makes you smile, or inspires you to be better. Then, I want you to share it in the comments section or email it to me (and it can be more than one of course!) at [email protected]! Once I have a good amount of submissions I am going to compile the list and feature it on the blog! 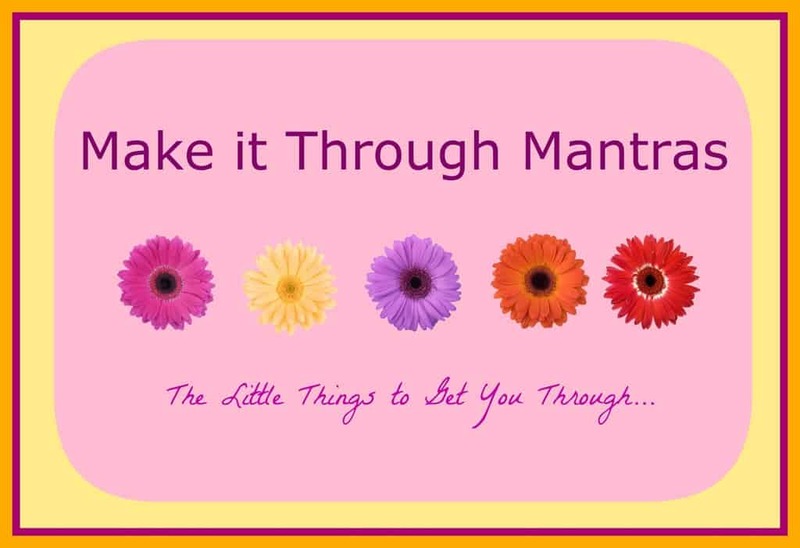 This way you can print out the list to carry in your wallet, save the photo to your desktop, or download it on your phone and have your own Make it Through Mantras to keep with you and refer to when needed. Sound good? I can’t wait to see what you all come up with! You all inspire me everyday as it is, so having a list of ideas from you all compiled into one project is going to be simply amazing. Even if no one else uses the list…I know I WILL! So, share away! Leave a comment or shoot me an email with your go to mantra’s or affirmations! I hope to make the list up sometime this weekend so let’s say Saturday is the last day to submit for the printable list (from then on I will make a page where new submissions can be made and added to the list!). Love that! Reminding yourself of simple notions often keeps me in check! My go to are two: There’s beauty in the breakdown – let go. (and second one) it isn’t about waiting for the storm to pass, it is about learning to dance in the rain. I have quite a few mantras that I use on a regular basis. The one I use the most often is stolen from Nike…”Just Do It!” I don’t know why, but it always helps me. I stop second-guessing and doubting myself and just take a risk. That’s what life is all about! That’s such a cute idea – usually I’m not one for mantras but Jillian’s ‘no bullsh*t’ attitude gives the approach some credibility in my eyes. I can’t believe how ‘new’ WIAW is. It’s so cultishly huge that I always feel like it’s been around for at least a decade – instead of about a year! I’m always amazed when blogger things blow up really fast, it’s too cool! Nelson Mandela: It always seems impossible until it is done. Someone shared this with me and fellow walkers for ED awareness “I am beautiful because I am ALIVE” It really helps when things don’t appear as I think they should! I totally have a “go-to” list on my phone as well… it does wonders for my attitude/self-esteem in those tough moments!